Note: These taste like marzipan. I hope you like marzipan. Preheat your oven to 350°F. 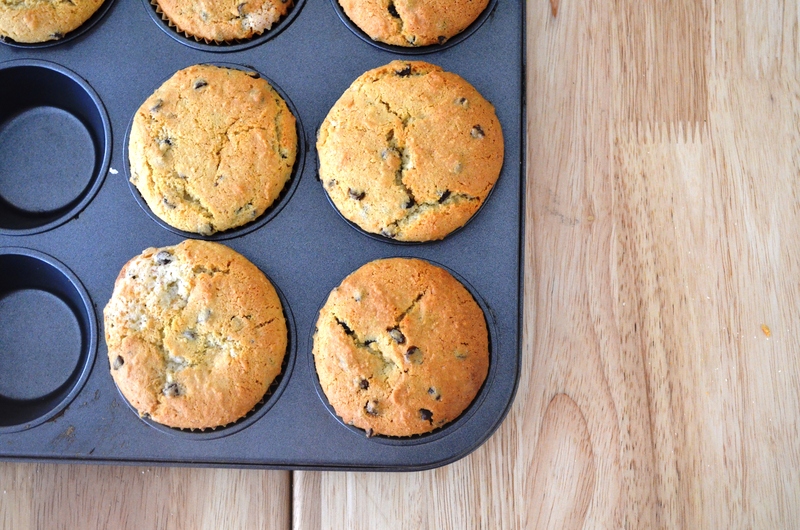 Line a muffin tin with paper cups. Cream the butter and sugar together until super soft and fluffy, about 3-5 minutes. Add the eggs in individually, mixing after each to fully incorporate. Mix in the extracts. Mix together the baking soda, salt, and almond flour. Add the mixture in thirds, alternating with half of the milk (flour, milk, flour, milk, flour). Toss in the chips and coconut and mix those in as well. 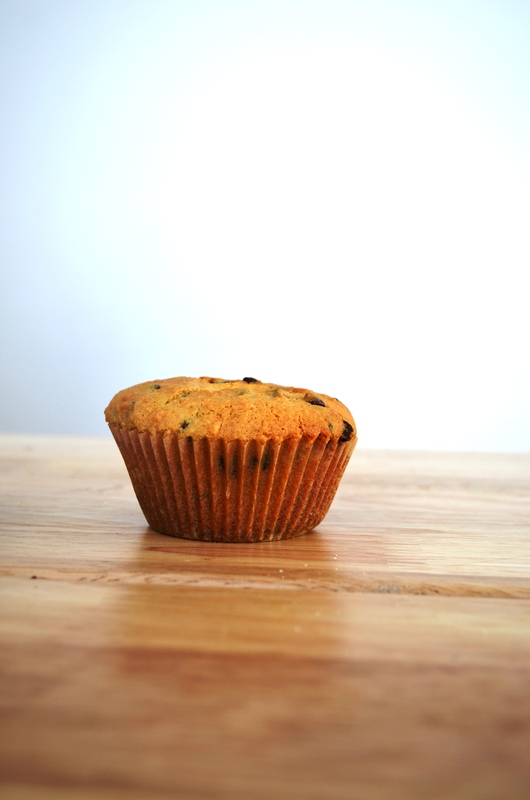 Fill each muffin cup with 1/4 cup of batter. Sprinkle tops with extra coconut, if you like. Bake for ~25-30 minutes, until tops are golden and a toothpick stuck in the center comes out clean. Hi friend! I remember the first time we discussed your idea for a blog in your old dorm kitchen. The boggy, bloggy dough rest for some time, but you’ve finally brought it to life — congratulations! Good for you for showing the snow who’s the boss in the kitchen. click me for email updates!